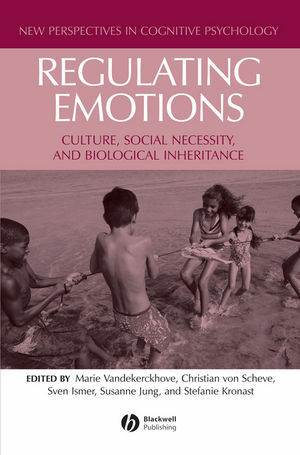 Regulating Emotions: Culture, Social Necessity, and Biological Inheritance brings together distinguished scholars from disciplines as diverse as psychology, sociology, anthropology, neuroscience, and psychotherapy to examine the science of regulating emotions. Marie Vandekerckhove is Assistant Professor at the University of Brussels and a clinical psychologist at the University Hospital Ghent. Christian von Scheve is Assistant Professor at the Institute of Sociology, University of Vienna. Sven Ismer is a Ph.D. candidate and Research Assistant at the Department of Movement Science, University of Hamburg. Susanne Jung is an independent consultant and a Ph.D. candidate at the Department of Cultural Anthropology, University of Göttingen. Stefanie Kronast is a professional consultant and trainer for social and emotional competences. 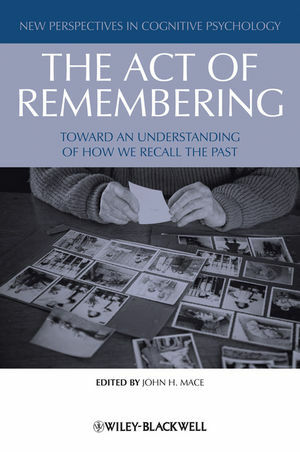 Foreword: Hans J. Markowitsch & Birgitt Röttger-Rössler. Introduction: Regulating Emotions: Culture, Social Necessity, and Biological Inheritance:. Marie Vandekerckhove (University of Brussels), Christian von Scheve (University of Vienna), Sven Ismer (University of Hamburg), Stefanie Kronast (Independent Consultant), and Susanne Jung (Independent Consultant). Part I: Emotion and Regulation: Between Culture and Biology:. 1. Psssst! Dr. Jekyll and Mr. Hyde are Actually the Same Person! A Tale of Regulation and Emotion: Arvid Kappas (Jacobs University Bremen). 2. Culture and Automatic Emotion Regulation: Iris B. Mauss (University of Denver), Silvia A. Bunge (University of California, Davis), and James J. Gross (Stanford University). 3. Emotion-Related Regulation: Biological and Cultural Bases: Claire Hofer and Nancy Eisenberg (both Arizona State University). Part II: Culture and Social Interaction: Markers in the Development of Emotion Regulation:. 4. Development of Emotion Regulation in Cultural Context: Gislea Trommsdorff (Konstanz University) and Fred Rothbaum (Tufts University). 5. Adult Attachment Theory, Emotion Regulation, and Prosocial Behavior: Phillip R. Shaver (University of California, Davis), Mario Mikulincer (Bar-Ilan University), and David Chun (University of California, Davis). 6. Themes in the Development of Emotion Regulation in Childhood and Adolescence and a Transactional Model: Maria von Salisch (University of Lüneburg). Part III: What Is and What Ought To Be: Psychopathology and Emotion Regulation:. 7. Emotion Regulation and the Early Development of Psychopathology: Pamela M. Cole (Pennsylvania State University), Tracy A. Dennis (Hunter College, City University of New York), Sarah E. Martin (E.P. Bradley Hospital, Brown Medical School), and Sarah E. Hall (Pennsylvania State University). 8. Emotion Information Processing and Affect Regulation: Specificity Matters! : Pierre Philippot, Aurore Neumann, and Stéphanie Delroisse (all Catholic University of Louvain at Louvain-la-Neuve). 9. Socio-Emotional Processing Competences: Assessment and Clinical Application: Martin Peper (University of Bern, University of Freiburg) and Roland Vauth (University of Basel). 10. Emotional Experience, Expression and Regulation in the Psychotherapeutic Processes: Leslie Greenberg (York University) and Marie Vandekerckhove (University of Brussels). Part IV: Setting the Stage: Culture and Society as Emotionally Regulated and Regulating Arenas:. 11. Passions as Cognitive and Moral Mistakes: The Case of Honor Killings in Europe: Unni Wikan (University of Oslo). 12. The Organizational Regulation of Anger: Poul Poder (University of Copenhagen). 13. Mood and Emotional Culture: A Study of Flow and Stress in Everyday Life: Charlotte Bloch (University of Copenhagen).